In Marvel Comic's "Civil War" storyline, Tony Stark creates for Spider-Man a new costume which Stark calls the "Iron Spider" armor. The costume possesses mechanical arms attached to the back. In homage to the popular comic book storyline, a similar Spider-Man costume appeared in the movie Avengers: Infinity War. 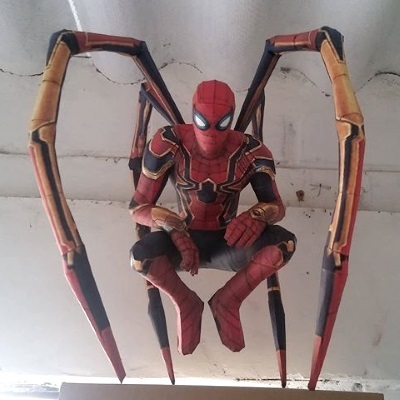 This paper model of the Iron Spider was created by Paperttore at Papercraft LED. The Pepakura PDO template for the model may be downloaded here. Build photo by Daniel Diaz. 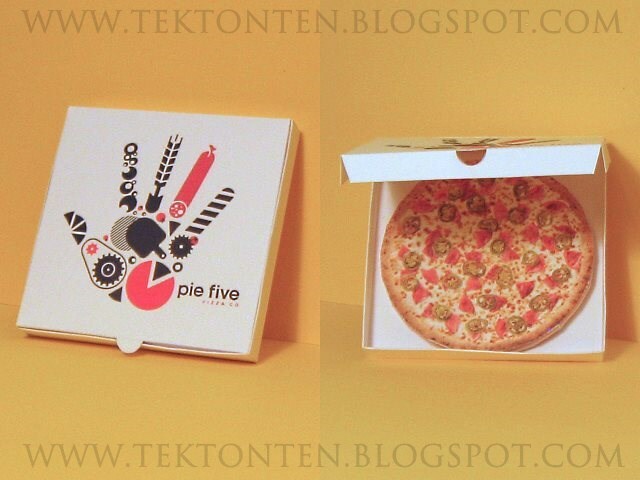 After five years, here (finally) is pizza number six in my pizza paper toy series! 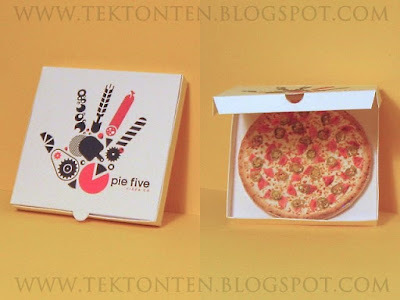 This paper toy is of one of the types of boxes used by the US pizza chain "Pie Five". Inside the box is a ham and jalapeno pizza. Like the other pizzas in the series, it is 1:4 scale. The PDF template for the toy may be downloaded here. In the Star Wars universe, during the Clone Wars, the Galactic Republic made use of TX-130 repulsorlift tanks in their struggle against the Confederacy of Independent Systems. These tanks' weapons include twin laser cannons and concussion missiles. 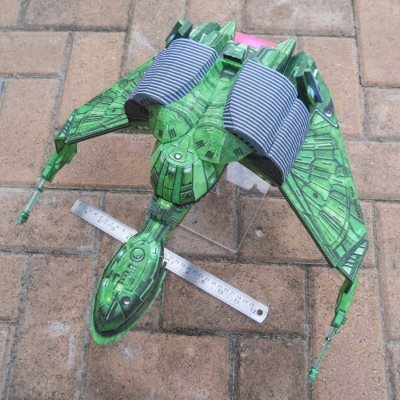 This paper model of a Republic TX-130 was created by Blaar. The Pepakura PDO template for the model may be downloaded here. TX-130 tanks have appeared in several of the Star Wars: Battlefront video games. The Fortnite video game franchise has become wildly successful in the last year. Of all the variations of the game, the free Battle Royale mode has proven most popular. Battle Royale is a 100 person player versus player melee on one giant map. Victory is achieved by being the last person standing. Players may customize the look of their in-game avatars by purchasing outfit skins. 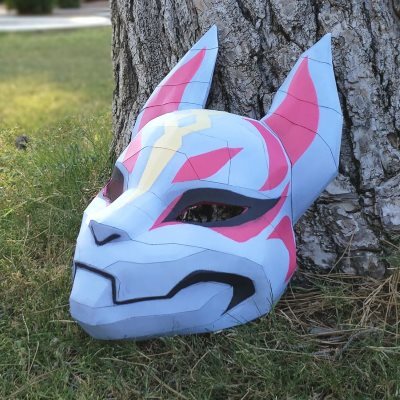 The 1:1 scale paper model pictured is of an animal mask that is part of the "Drift" outfit skin. The printable template for the mask was created by Sabi96 and may be downloaded here. Build photo by SuperRetroBro. On this date in 2008 I wrote my first blog post for Tektonten Papercraft! Since that day, the blog has received over 10.4 million page views. Here's special thanks to every visitor who contributed to reaching that number, especially those of you who drop by on a regular basis! To celebrate this momentous occasion, I plan on releasing one new paper model every month for the next twelve months. The last time I released one of my own papercraft designs was 2015, so this will be a big undertaking for me. Fortunately, I have dozens of half-finished templates sitting on my hard drive just waiting to be completed. :) Pictured are some possibilities of what might be released. 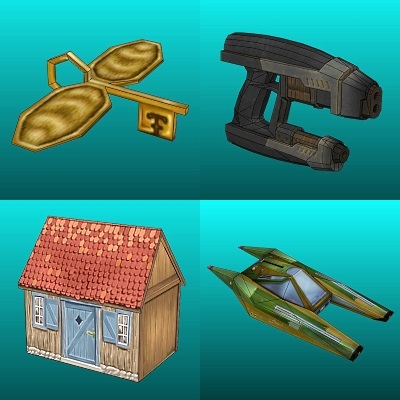 From upper left going clockwise we have: A flying key from Harry Potter and the Philosopher's Stone, Star Lord's gun from Guardians of the Galaxy, an airspeeder from the Star Wars universe, and finally, a simple rustic cottage. If you are lucky, I may even get around to finishing those two skulls I promised in 2013 but never delivered. ;) Here's to happy papercrafting in the coming year! UPDATE 11/16/18: The below list will be updated as each of the paper models are released.